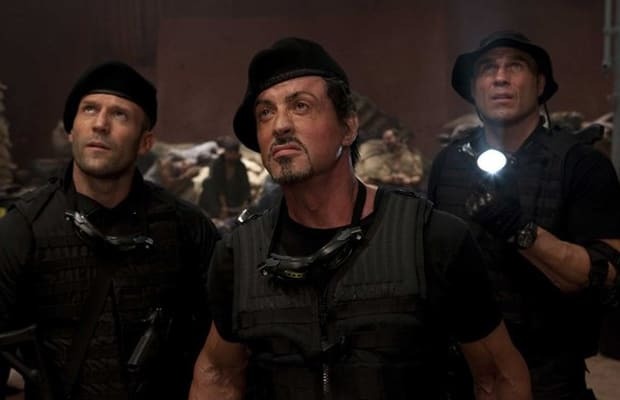 Simon West Tapped To Direct "The Expendables 2"
Back in March, we questioned whether Sylvester Stallone should return to direct The Expendables 2 or not. Today, it seems that the Hollywood gods have finally given us an answer. Deadline reports that Simon West will be calling the shots this time out. West, best known as the man behind Con Air and Lara Croft: Tomb Raider, recently directed Jason Statham and Ben Foster in the remake of The Mechanic, and his next, Medallion, re-teams him with Nicolas Cage. With a proven action director on-board, it&apos;s likely that much of the cast from the first film will reprise their roles, and will leave a wide array of possibilities open for West to expand the universe. Purely a paint-by-numbers actioner, The Expendables was ultimately a box office hit, raking in $274.5 million worldwide. Stallone co-wrote, directed, and starred in the first film, which also featured Statham, Jet Li, Dolph Lundgren, Eric Roberts, Randy Couture, "Stone Cold" Steve Austin, Terry Crews, and Mickey Rourke. Basically, any actor who&apos;s ever grunted on screen.